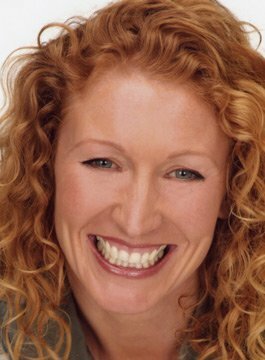 Charlie Dimmock is one of Britain’s best known and recognised gardeners, specialising in water features. Charlie first came to the nation’s attention on BBC1’s incredibly successful Ground Force. She was discovered by the producer/director of Ground Force who had met her 5 years previously when Charlie built a pond for the Meridian television series Grass Roots. Ground Force ran for 8 years and they made 12 series in that time. In 2001, Charlie’s appeal spread to America where BBC America made two series. Charlie also had a regular gardening strand The Early Show filmed in New York for CBS. Publications include her own book Enjoy Your Garden, and BBC books Ground Force Container Gardens and Ground Force Water Garden Workbook plus a 400 page magazine At Home with Charlie Dimmock. Charlie Dimmock trained for 4 years as an amenity horticulturalist in Winchester and Somerset (BTEC Diploma in Amenity Horticulture – distinction & National Technical Certificate in Turfculture and Sporting Management – distinction) and spent a year of her training at the Chelsea Physic Garden. Charlie is available for talks, personal appearances and gardening demonstrations.